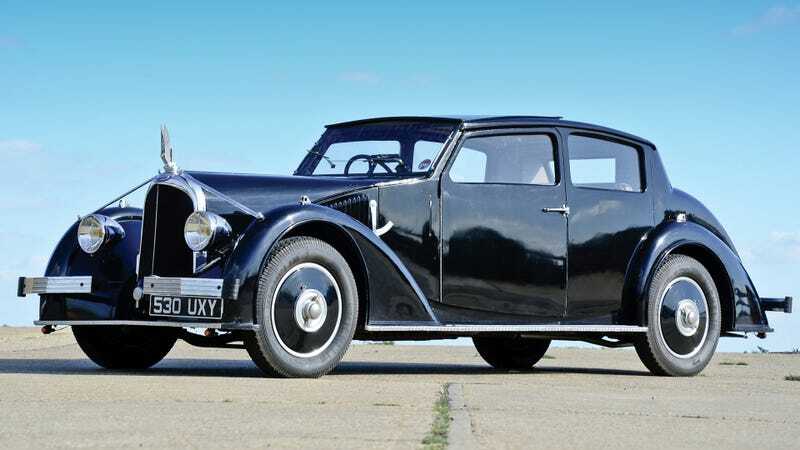 One of the greatest (and strangest) car companies of all time was Avions Voisin. Their cars, particularly this this 1935 C25 Cimier, remain some of the most striking auto designs in history. We have an excellent history of Voisin's left-field approach to carmaking right here, when we inducted the Voisin C28 Aerosport into the Jalopnik Fantasy Garage. In short, Voisin started off building planes, and when he switched over to cars he brought his craftsmanship, his aerodynamics, and his engines with him. So this three-liter straight six-powered luxury car might not be the most classicaly beautiful machine you've ever seen, but we think you can appreciate its strangeness, its angularity, and its charm. Annotate the picture above with your comments.